Looking for something fun to do with the whole family? Find the best Dolphin Cruise Destin FL has to offer, and save big this Summer with deals up to 45% off! With special pricing for military, seniors, children, and adults, find the best Destin Dolphin Cruise coupon to use during your vacation! A Destin Dolphin Cruise consists of more than just a search for dolphins. Tour the scenic Destin Harbor, bay, and gulf shoreline aboard a family-friendly vessel. With morning, afternoon, and sunset cruises available, it's easy to fit a relaxing Destin Dolphin Cruise into a busy vacation schedule. Worried about the price? Dolphin Cruises in Destin start from only $13/ticket! With snack bars, entertainment, and complimentary drinks provided on many of the Dolphin Cruises, it's not hard to see why so many visitors choose this tour to add excitement to their vacation! For the spring and summer 2016 season, several tour companies are offering discounts and deals on the top Destin Dolphin Cruises! Here are a few of our best deals on Dolphin Cruises in Destin, Florida! For a full list of Dolphin Cruises in Destin, Florida, visit Destin Dolphin Cruises online. Adult $17 (Reg. $27) June - July 10:30am Cruises ONLY! Limited time offer on all other cruises - Adults $22 & children $13! Book your Dolphin Watch and Destin History Cruise online! SUMMER SPECIAL: Complimentary beer, wine, water and sodas. Save $2 off your tickets for daytime cruises and $2 off your sunset cruises (Reg $22/26)! Book your Dolphin Cruise Aboard the Original Seablaster online! SUPER SUMMER SPECIAL: Save over 28% when you book online! (10am cruises only, deal ends June 30th. On cruises through Aug 31st, not valid on Holidays). Book your Dolphin Tour Thrill Ride in Destin, Florida online! Looking for more things to do in Destin, Florida? 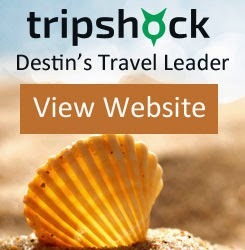 Browse the largest selection of Destin activities and attractions online at Destin Things To Do!